Circa 1766. 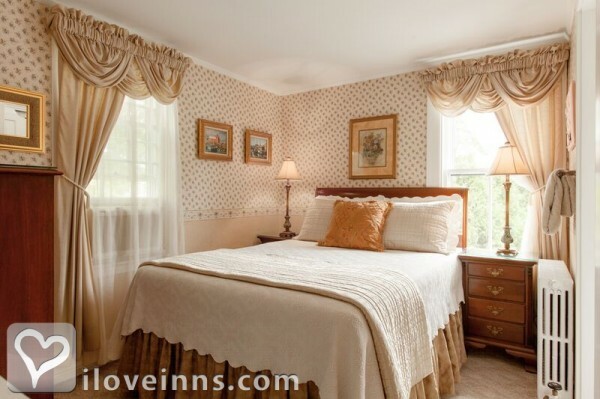 Relax in the friendly and gracious atmosphere of this family-owned inn, open year-round. 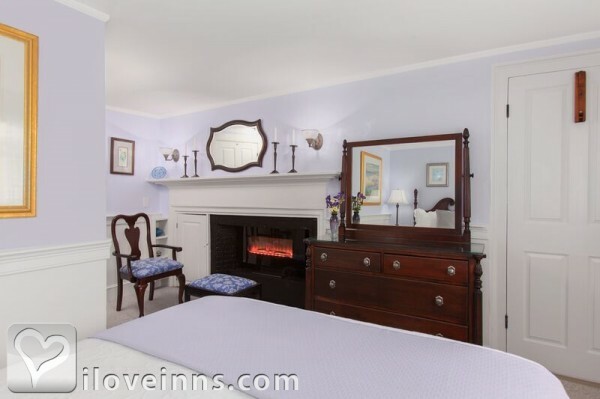 The 1766 Colonial with antiques and reproductions was recently renovated to provide a warm haven of peace and privacy. 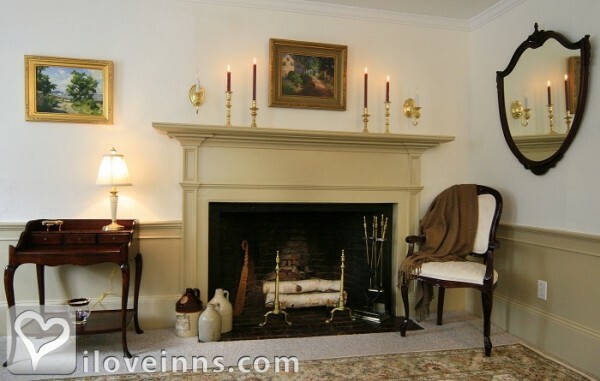 Gather in the fireside living room, library or sitting room to watch a movie, play games or chat. An outdoor deck is surrounded by colorful, well-kept gardens. 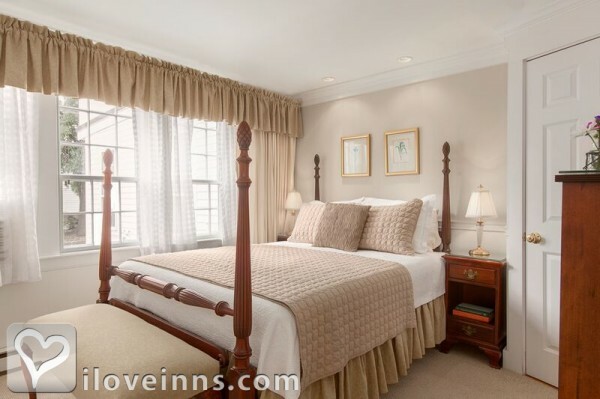 Guest bedrooms, a two-room suite and an efficiency suite are inviting accommodations for vacations or extended stays. Enjoy fine linens, towels and robes. 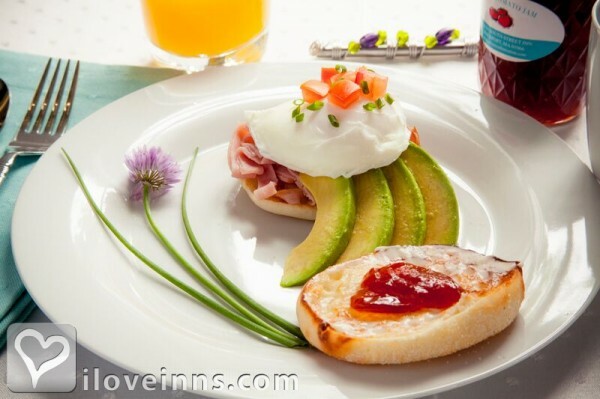 Two gourmet breakfast seatings are offered each morning for well-presented, elegant dining that tastes as great as it looks. Swim in the seasonal pool, or ride a bike to explore the scenic area. Make whale watching reservations and visit the local Circles Day Spa. Payment Types Accepted Include American Express, Master Card, Visa, Personal Checks, Travelers Checks and Cash. 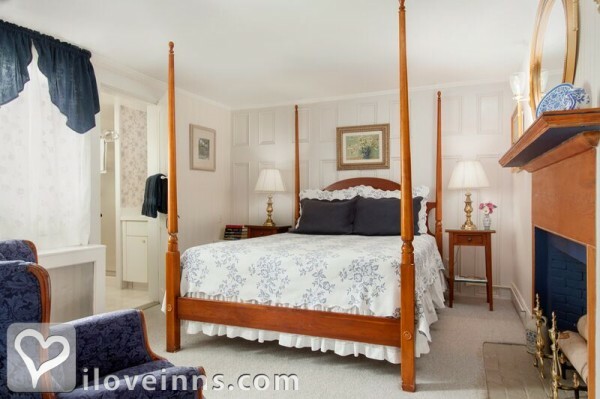 This property has 9 total guest accommodations with private bath, 1 two-bedroom suite. The types of beds available include Queen, Twin and Double. 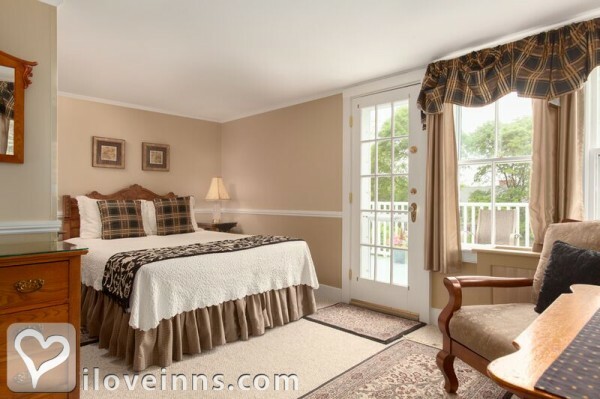 Individually appointed and decorated rooms with many amenities, such as fine linens, towels and robes. 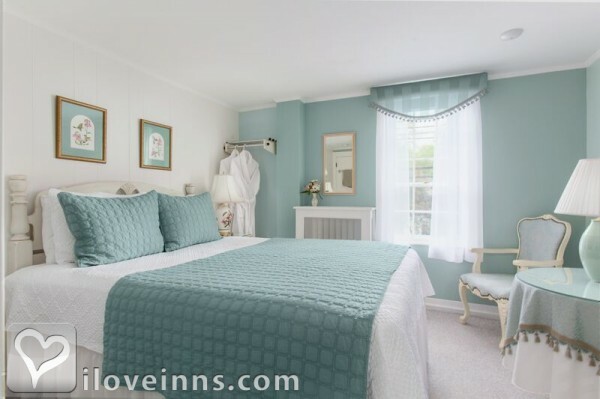 The Inn uses all natural cleaning products in our rooms as well as laundry. Energy efficiency lighting. The bathrooms are equipped with wall dispensers of Panteine Shampoo and Conditioner as well as Dove Body Wash.
Three nights on holiday weekends and two nights most weekends. There is a $25 charge on all cancellations or date changes. Fourteen full days advance notice of cancellation or alteration of your reserved dates is required for a deposit refund. The Inn was built in 1766 when we were still a British Colony. We are located in the South Street Historic District and are just a 6-7 minute walk into the Village Center. YANKEE MAGAZINE, Editors choice for best Country Bed and Breakfast in 2017. Gordon College, Bay State College, Salem State College, North Shore Community College, Endicott College. One hour away from the Boston Colleges by car or train. The dates this property will honor the certificate are Oct. 1-May 20, subject to availability..
Debbie the innkeeper has really put all of herself into keeping her guests finding a wonderful room, great bed, great breakfast and all the joy of kindness beside. We stayed in Room 6 and it was beautiful. Just a fantastic stay and her breakfasts are so wonderful. Can't wait to return. Great location to walk to everything! An amazing blend of elegance and warm comfort. We came for two days and stayed for four! 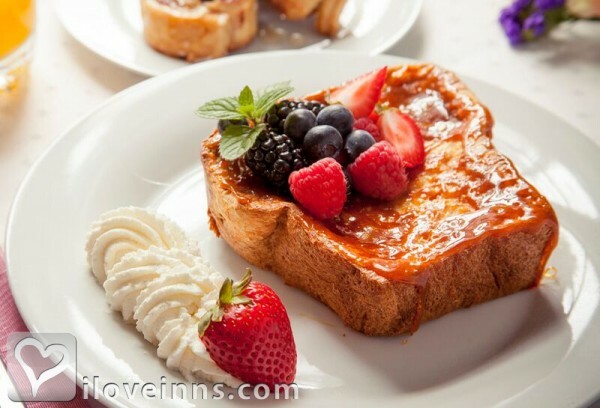 Debbie and Nick are warm and welcoming and the artistic, delicious, gourmet breakfasts are out of this world. Every day a new delight. Treat yourself to a little time in heaven! Dear Debbie, As you already discovered by now, our writing in the guestbook was in dutch (flemish); The traduction in synthese is as follows : " Highly recommended for enamoured couples whom are in love with life (and breakfast)". 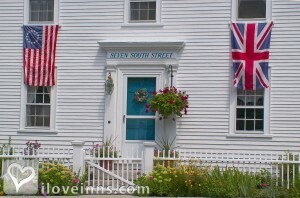 We will look back fondly on our week long stay at the Seven South Street Inn. The beautiful 18th century exterior and wonderfully furnished interior rooms (with modern conveniences) quickly drew us away from the fast pace of our working lives. 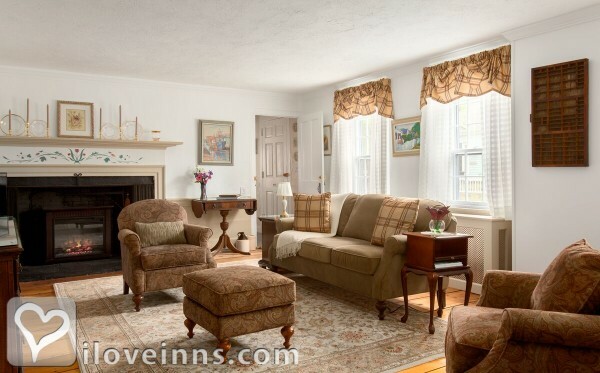 The inn is nestled in the charming seaside village of Rockport, MA. Our daily morning walks to the Village center only added to the relaxing atmosphere. Each morning started with an exquisite breakfast; and engaging conversation with guests (from the US, Canada, and Scotland) and our hostess Debbie. Take advantage of her knowledge of the area. Of the B&Bs we have stayed, this one is a jewel. We will be back. We were in town for my son's wedding and found Seven South Street on the internet. Online, it looked pretty and comfortable and it turned out to be so much more than what is on the website. The rooms are all just beautiful and each has a distinct and pleasant personality. Debbie was the best host imaginable, from accomodating our changing needs through the week, to suggesting interesting things to do in the area, to respecting and even anticipating our dietary requests! While retaining the charm of the Revolutionary era, our room had all the modern conveniences and luxuries, was extremely comfortable, and meticulously clean. I stayed here for 6 nights in their 'single' room. It was a luxurious queen bed with high quality bed linens. The room was homey and welcoming with high-end fittings. The bathroom was incredibly nice with bathrobes, cotton buds and lots of other toiletries. I am wheat intolerant and enjoyed 4 course breakfasts every morning. Debbie, the hostess was very friendly and accommodating and strived every day to make enticing wheat-free food for me. I even had eggs Benedict on my last morning. I cannot recommend Seven South Street Inn highly enough. It surpassed all my expectations and I would stay there again in a flash. Very good value for money too. The breakfasts were to die for- wonderful and accommodating.